I LOVE these bases! I started an Armageddon Steel Legion Imperial Guard army before Halloween two years ago, and have been expanding it with bases and jack o' lantern packs from this collection steadily ever since. 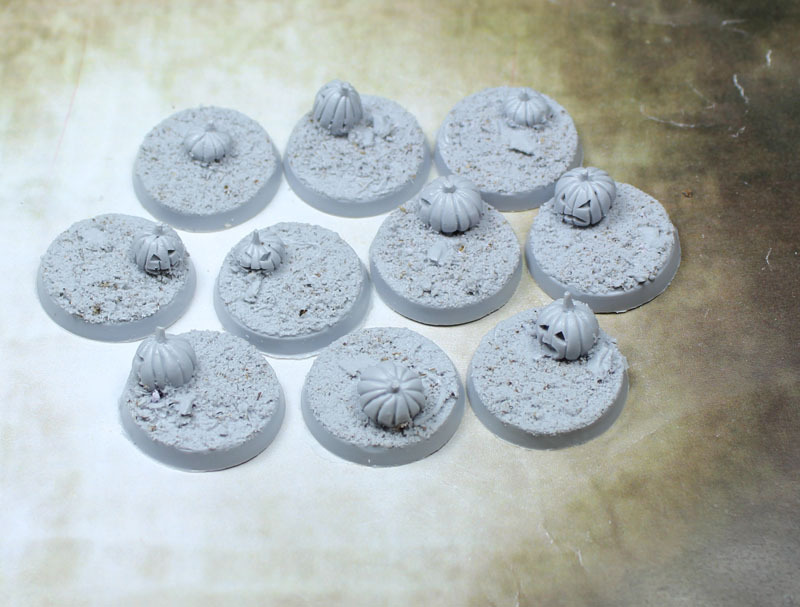 The detail is great, the pumpkin faces are very fun to paint (especially with lighting effects! ), and constantly get positive comments from everyone I show my army to. An excellent product!